Visual Studio Code>Other>VSC Github TrendingNew to Visual Studio Code? Get it now. 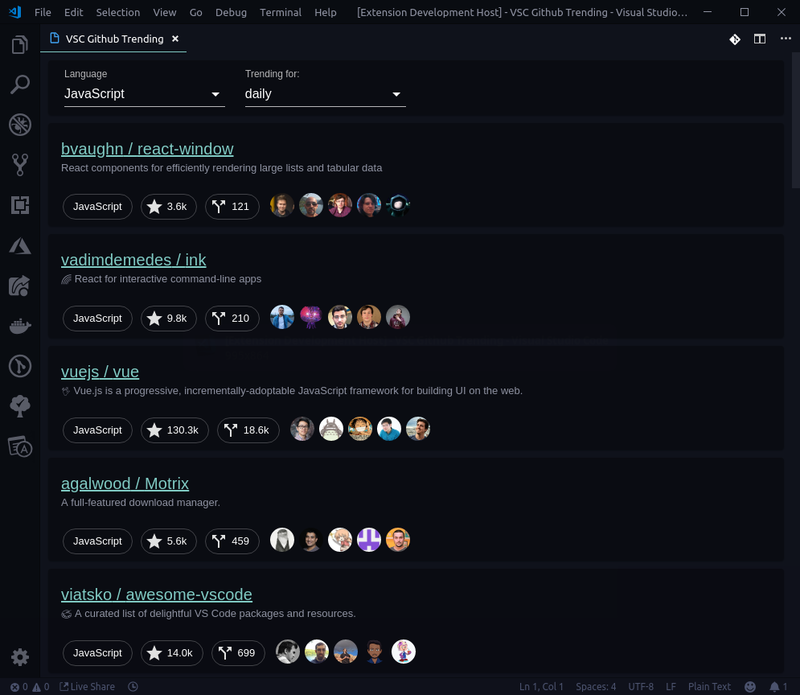 Explore Github Trending repositories directly from Visual Studio Code. Extension is based on React, Material-UI, Trending API and VSCode Webview API. Source code of this extension is available on Github.